Doesn't dealing directly with the listing agent mean I'll save money and have a better chance of getting the house? Texas protects the consumer and has put many rules in place for that purpose. The buyers realtor fee is already in the price from the sellers contracted listing agreement. So if I don't use an agent I'll get that money then or that amount off the house price, right? No, Texas does not allow this. If you don't have your own Realtor the listing agent is entitled to the entire fee but offers you no services and will be working exclusively for the seller. Alternatively, the listing agent can assign an agent they know to you. In that example the assigned agent recieves business from that agent so who do you think they are wanting to impress and do a good job for the referring agent or the buyer? If you do not demand and sign a Buyers representation agreement with the realtor showing you the property then by Texas law they are a SubAgent and must put the interest of the owner first. See below explanation of the form Texas requires all Realtors MUST give and buyer initial on the very first contact with them. Remember, you wouldn’t hire your spouse’s attorney to represent you in your divorce. The same goes for real estate. Why use the seller’s agent to negotiate your best interest? There is an inherent conflict of interest. Don't give away important negotiating strategies unknowingly or waste your valuable time searching for homes online that are probably old and under contract. Let your representative do their job and look out for your best interest. The video below is a quick explanation. Who am I contacting when I...? You are typically speaking either to an agent working in the same broker office who answers the phones to gain business and will need a Intemediary Relationship form to work with you as your buyers agent. Or, to the listing "seller" agent which has a fiduciary responsibility to tell the seller all about you i.e. are you loan qualified, will you have a hard time getting a loan for that price, can you pay more, what move in date do you need, new to buying or investing, how well do you know the neighborhood, how much you really want the house. All of these items can be used to negotiate a better position for the seller. Walk into a open house or builder spec home? Sometimes the agent hosting the open house will be the sellers agent or another agent to gain business. Remember until you have a signed buyers representation agreement with a Realtor they are considered a Sub-Agent of the seller! When you talk to the builder salesperson he is just that - the builders representative- not yours. Building has a whole other set of rules checkout our page for more information on building. 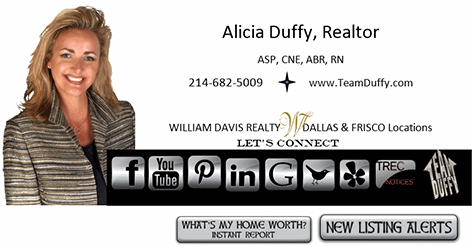 Search on sites like Realtor.com and Zillow? Typically when you hit the contact agent or request more information it will go to agents who advertise with that site to receive leads. These agents pay per lead in the area they choose and most of the time have never seen the home. They would then with a buyer representation agreement represent you as your buyers agent providing the items listed in the video above. Why am I asked to sign something right when I meet an agent? With the evolution of the internet, face paced time and a hot market created a lot of part time real estate agents interested in making a quick buck not a career and protect their license. The question of who represents who then got blurred. For this reason Texas Law requires ALL Realtors to give and if in person initial the receipt of the Information About Brokerage Services linked below. If you have met an agent who did not provide this that might be your first sign there is an issue. The other document the Texas Buyers Representation Agreement is what states the realtor represents you not a subagent of the seller. Most brokers require this agreement on the first meeting. Feel free to compare my services, read my reviews and explore my website and social media. Then we can get you setup for listing alerts to receive homes direct from the mls within minutes of listing and on your way to owning a home. Connect whichever way you like! Simply click icon below. Want more? The National Association of Realtors compiled a 40 page Buyer Questions Answered! Click here to view or download your own copy! What's next? Step 2 of course!